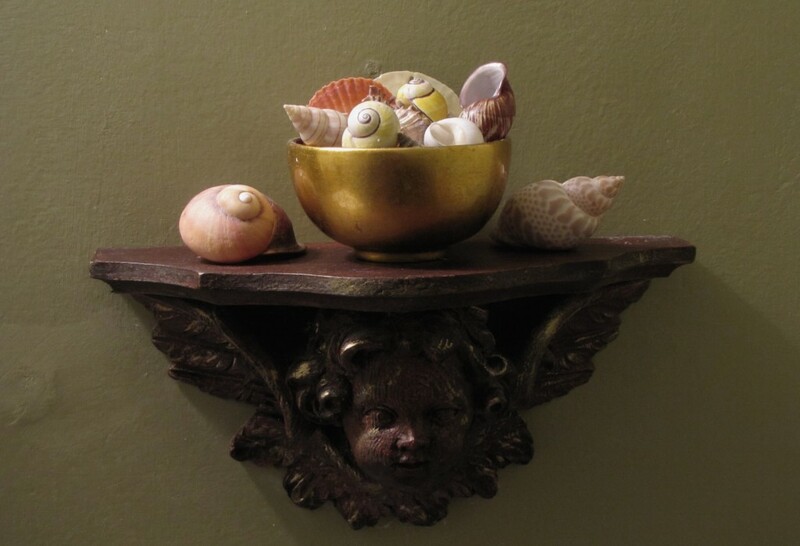 I often use shells in my still life paintings and have lots of them scattered around my house in little clusters - on a shelf, in a basket or bowl. I ignore them for long stretches of time, as one tends to do with familiar household objects. But then I find myself noticing them again, in amazement that what is essentially the abandoned home of some little water bound creature (maybe even something poisonous or vicious) offers such intriguing and wildly varied patterns and texture - and rich, elegant beauty. Why else would beachcombers stoop down and scoop up shell after shell after shell, gathering multi-colored collections of the wet, sandy treasures in their overflowing pails and packed pockets? So lovely to look at, to hold in the hand, I am drawn in once more, thinking…paint this one.